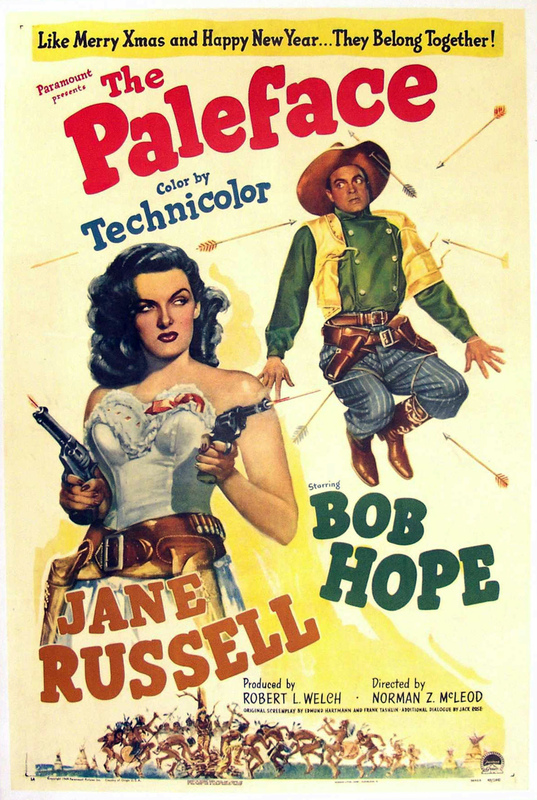 Paramount, 1948. 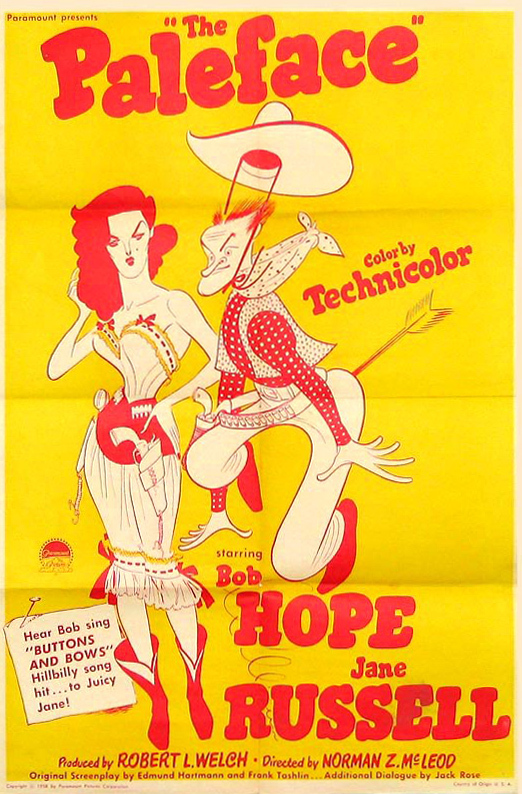 Directed by Norman Z. McLeod. 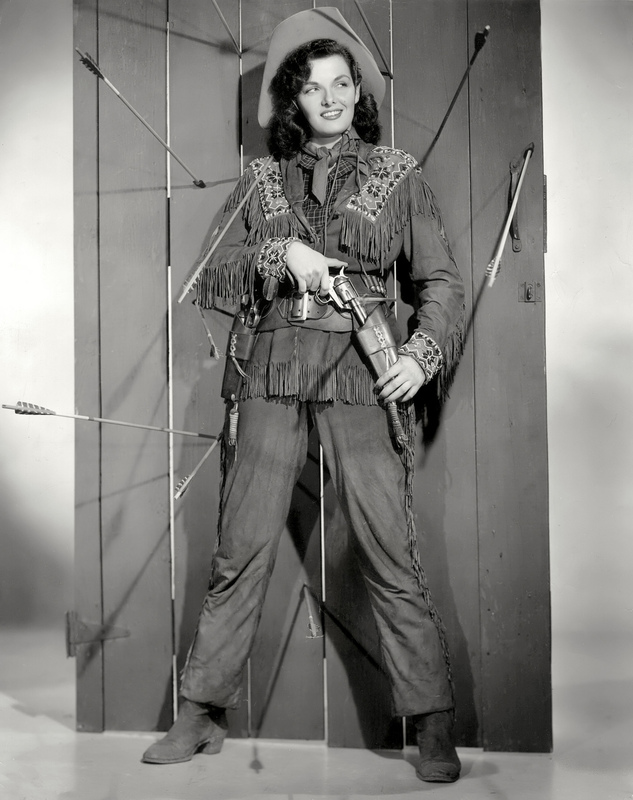 Camera: Ray Rennahan. 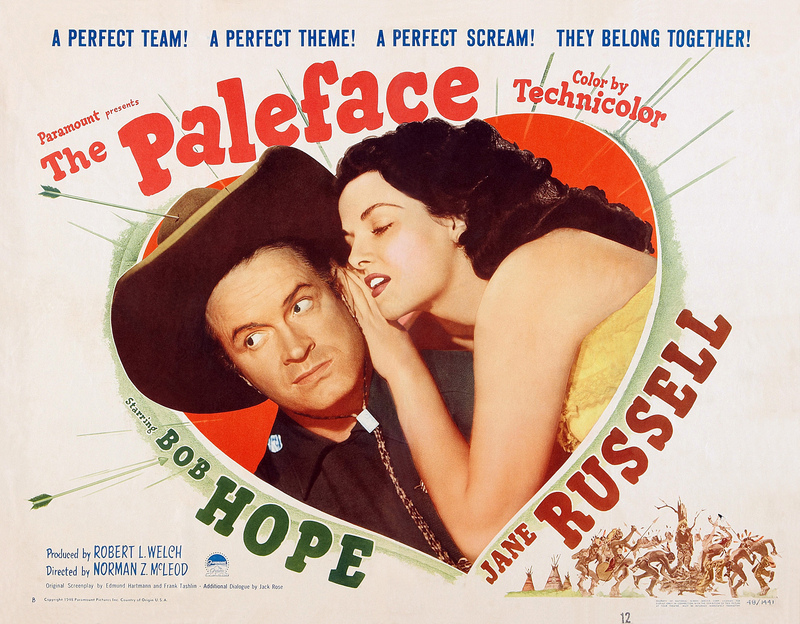 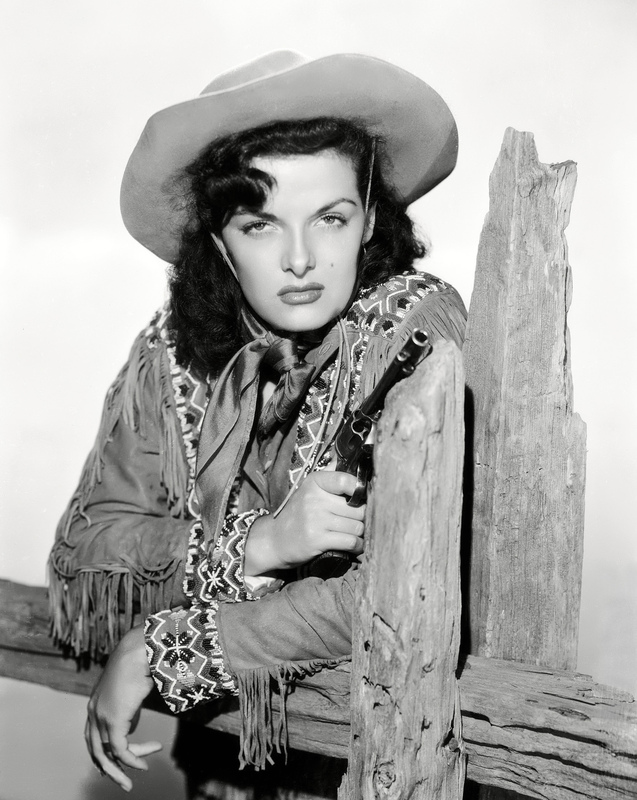 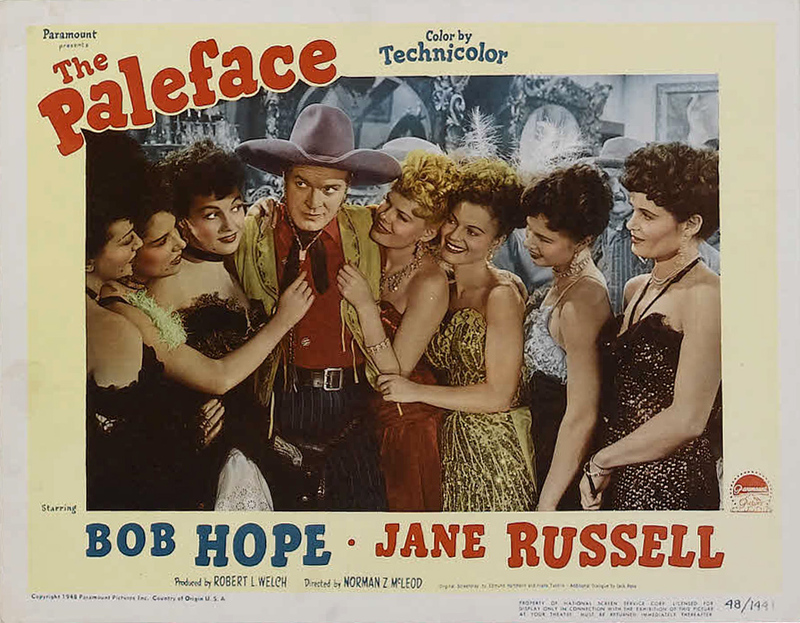 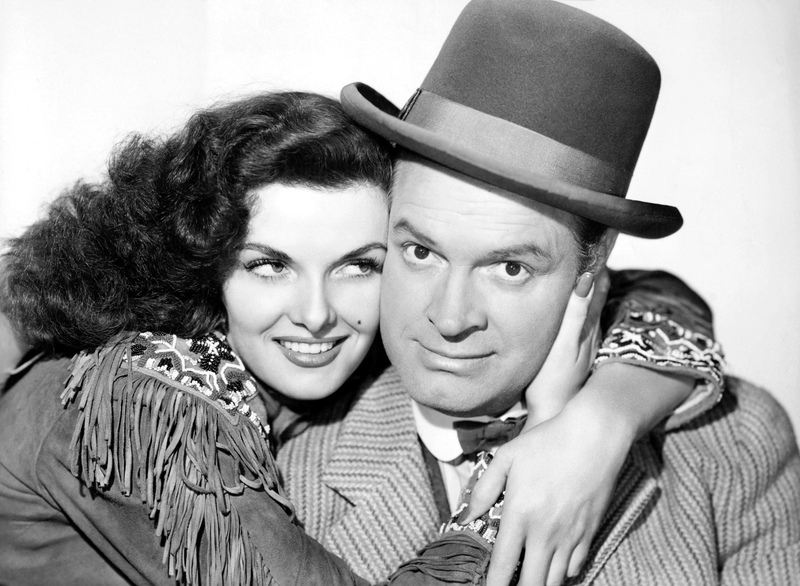 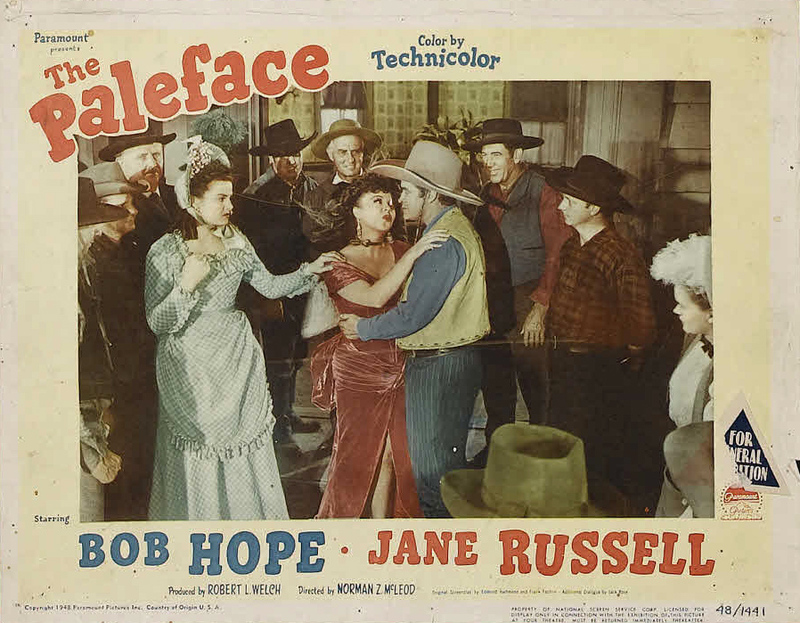 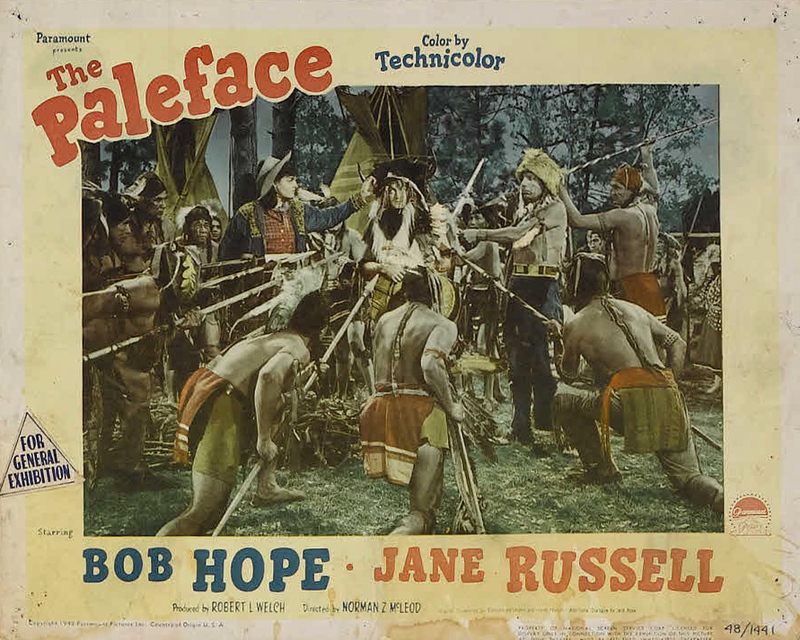 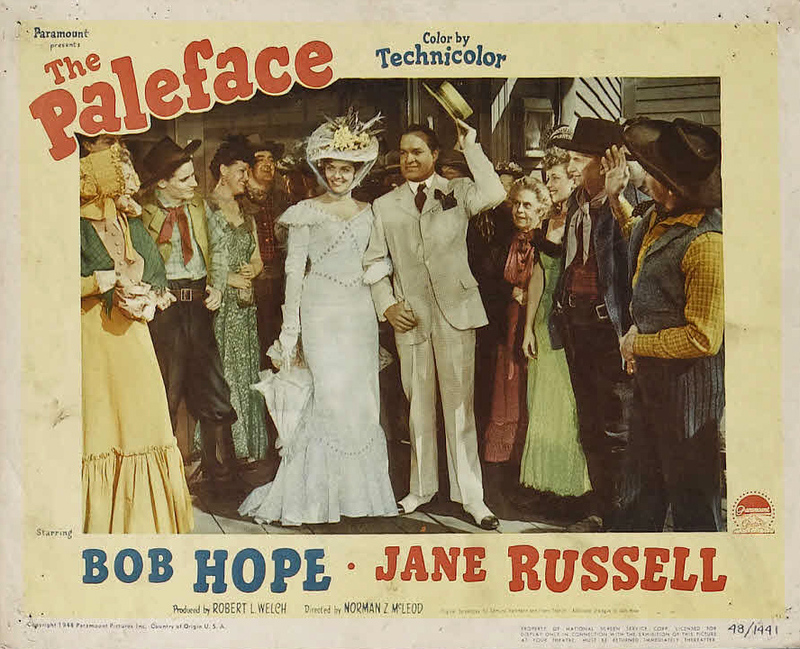 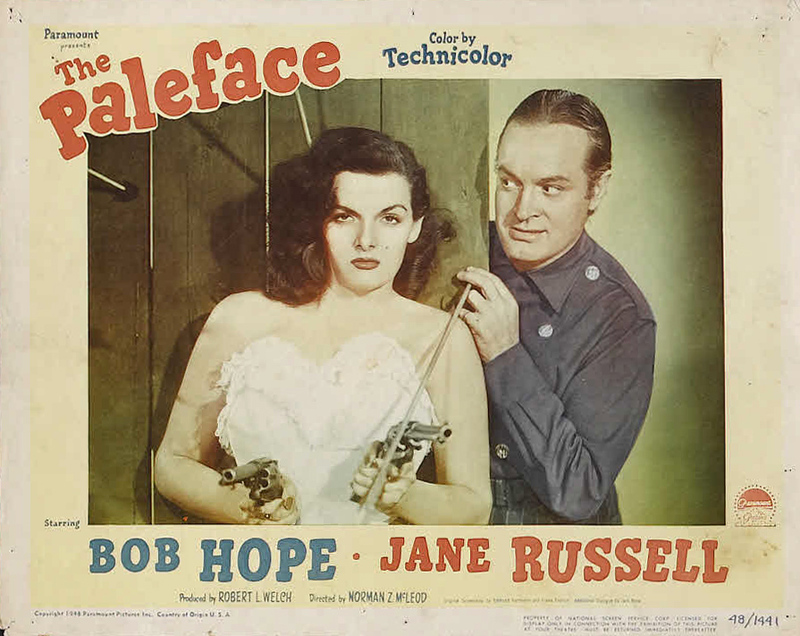 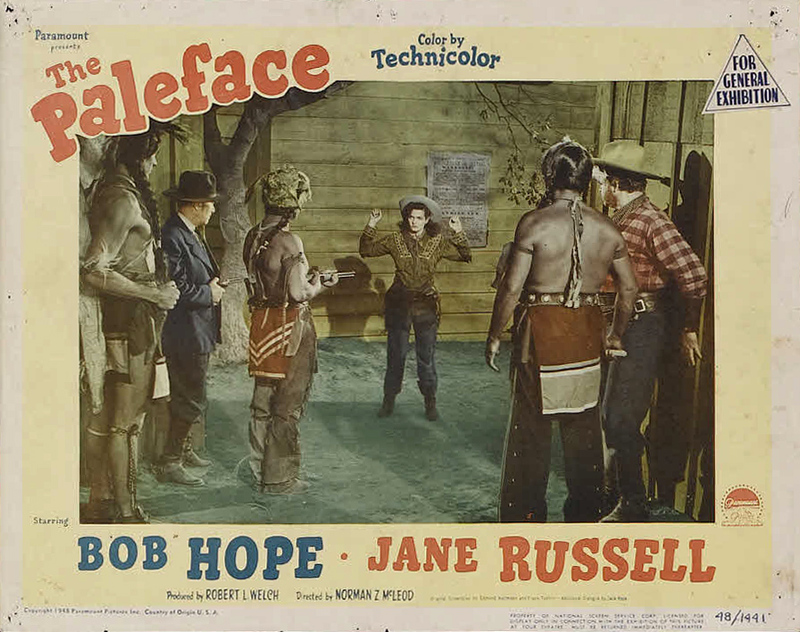 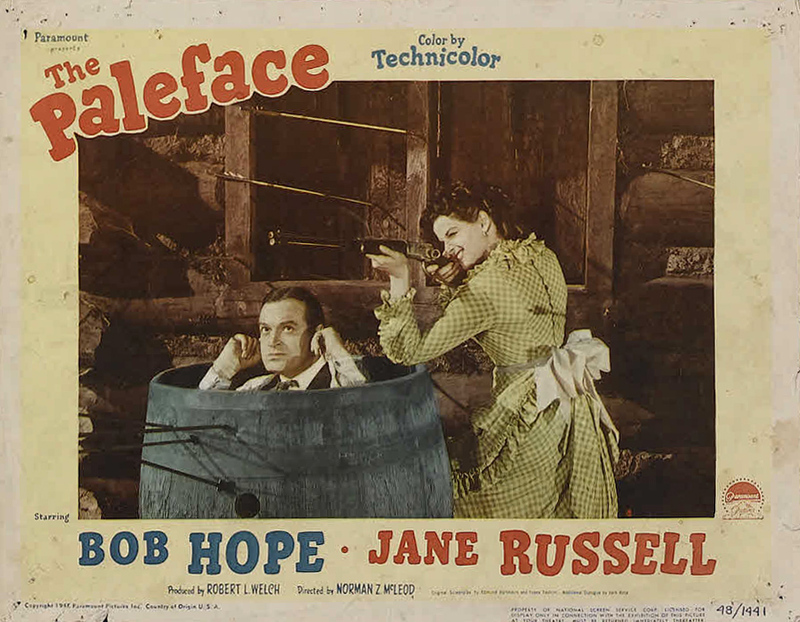 With Bob Hope, Jane Russell, Robert Armstrong, Iris Adrian, Robert Watson, Jack Searle, Joseph Vitale, Charles Trowbridge, Clem Bevans, Jeff York, Stanley Andrews, Wade Crosby, Chief Yowlachie, Iron Eyes Cody, John Maxwell, Tom Kennedy, Henry Brandon, Francis J. McDonald, Frank Hagney, Skelton Knaggs, Olin Howland, George Chandler.